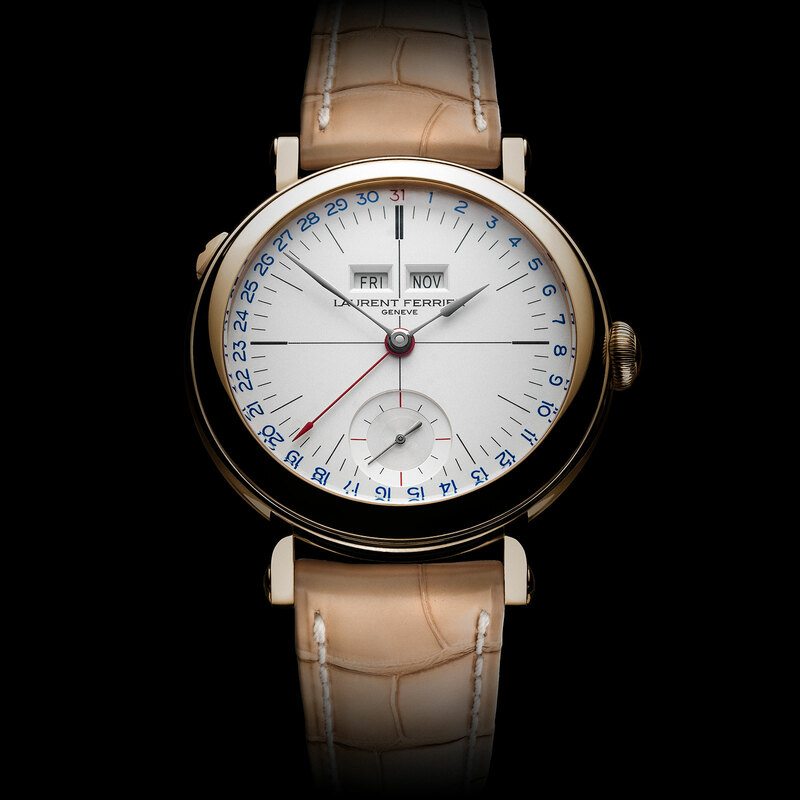 Laurent Ferrier will soon officially launch the Galet Annual Calendar Montre Ecole Opaline, basically last year’s annual calendar with a new, cleaner dial. 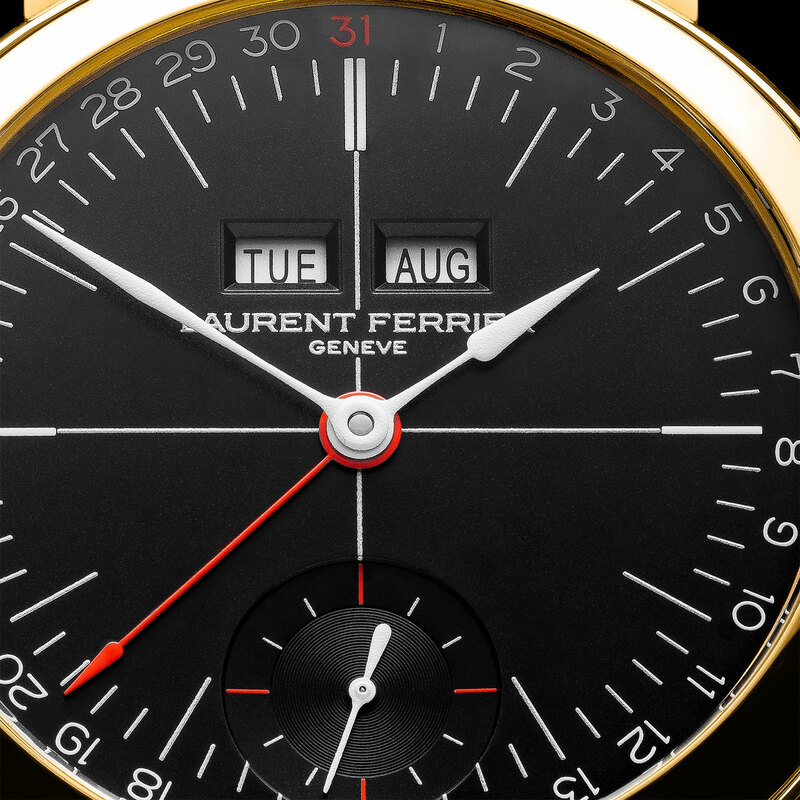 While not novel in the least, it is just a variation on a theme, the Galet Annual Calendar remains a traditionally good-looking watch that reflects the mid 20th century aesthetic sensibilities of Mr Laurent Ferrier. 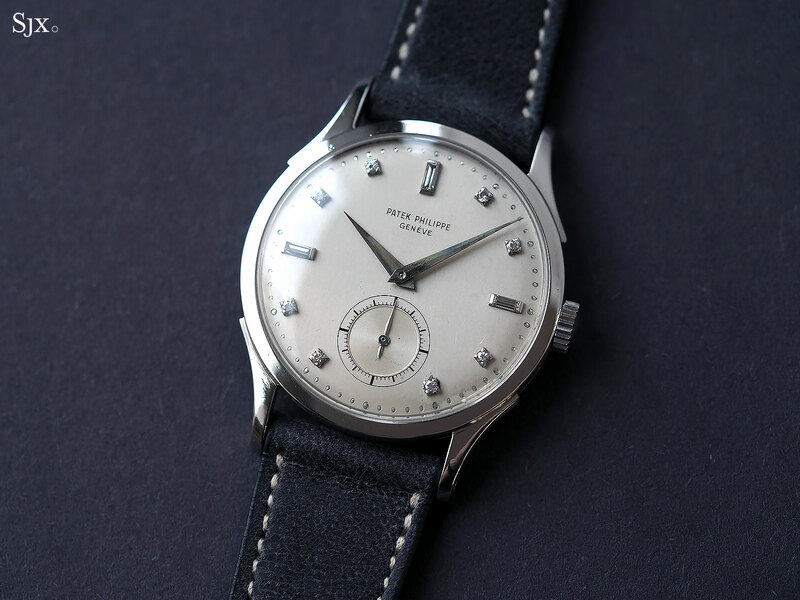 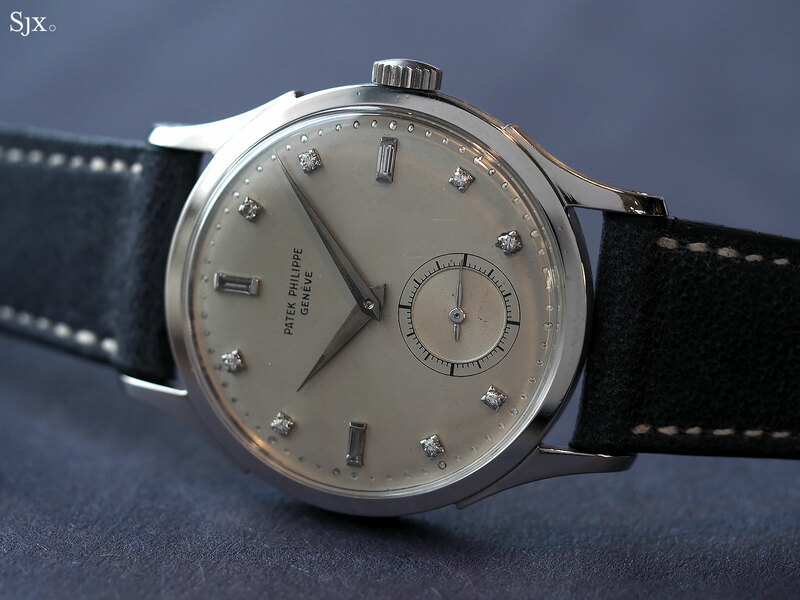 While the dial on the original model was a subtle two-tone thanks to a directionally different brushed finish, the opaline dial is finely grained and uniform across its surface. 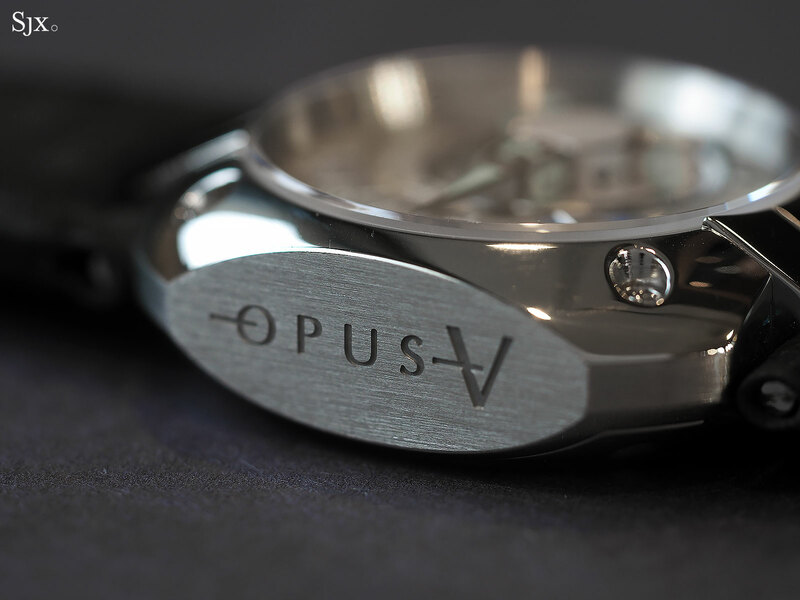 It’s available in black or white. 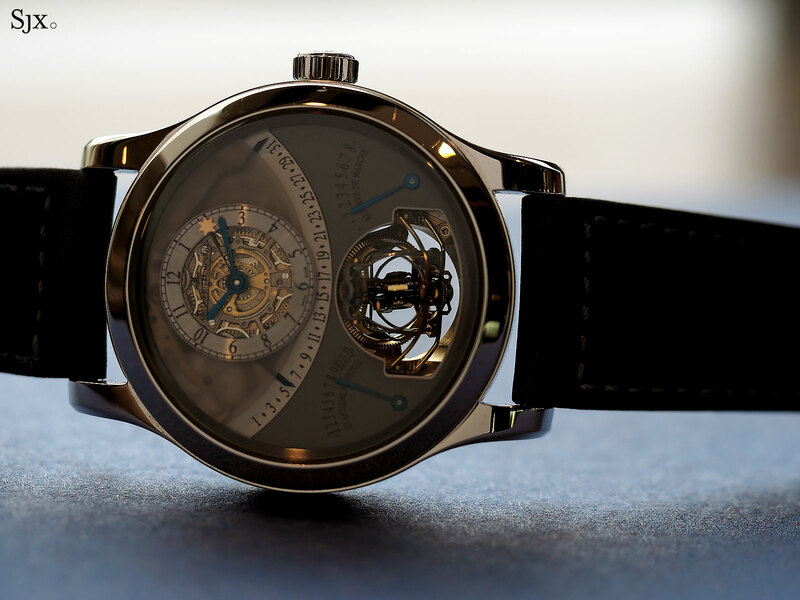 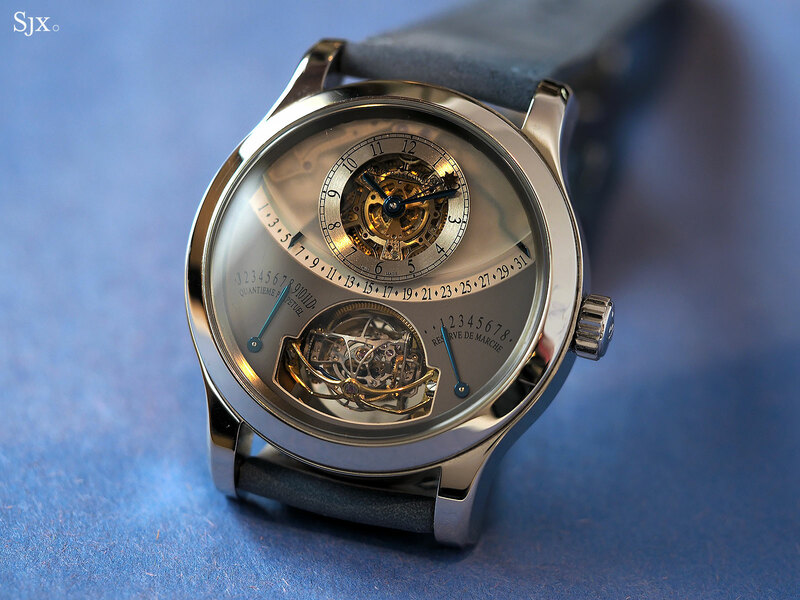 Available in 18k gold or steel, the Montre Ecole case is 40mm in diameter and gets its name from the fact that its design was inspired by the watch Mr Ferrier made for his watch school project. 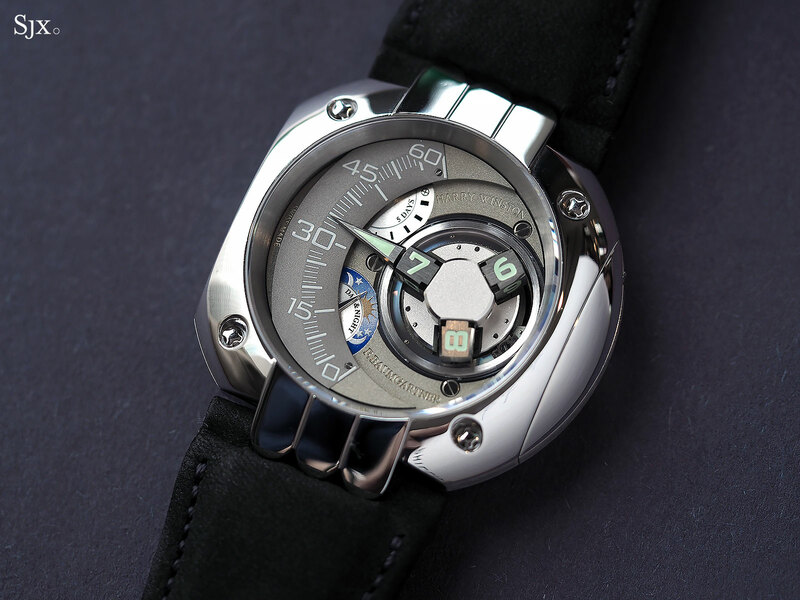 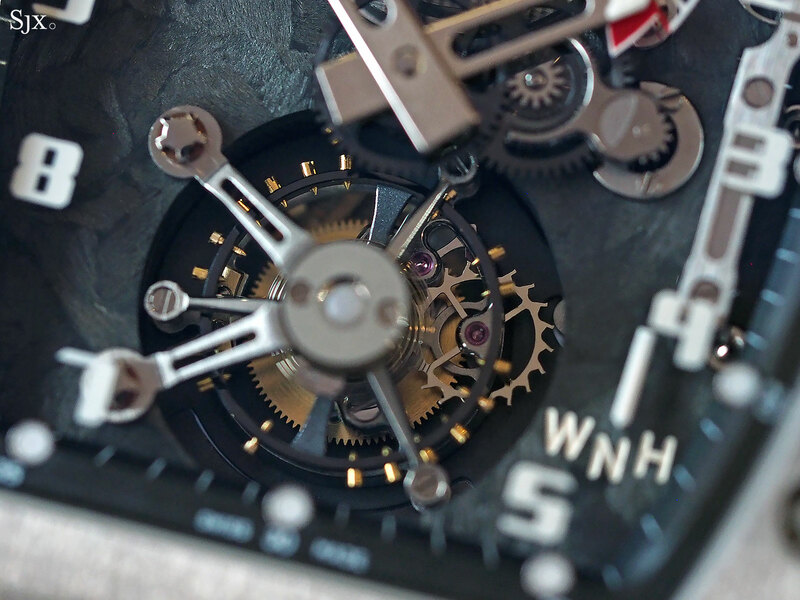 The LF126.01 movement inside is hand-wound, with all of the calendar indications, save for the week, set via the crown. 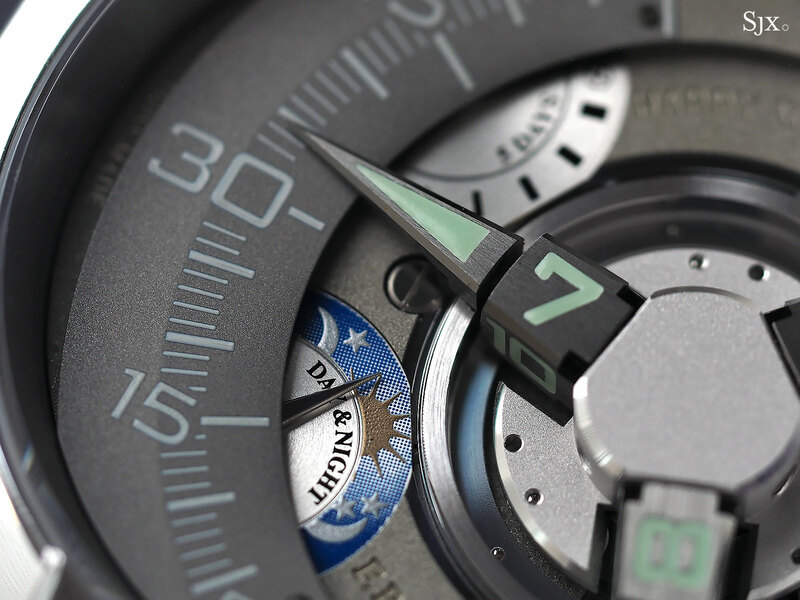 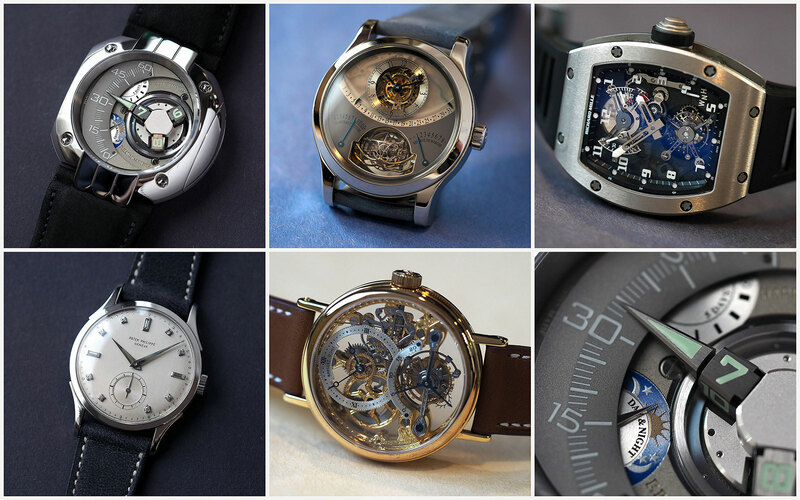 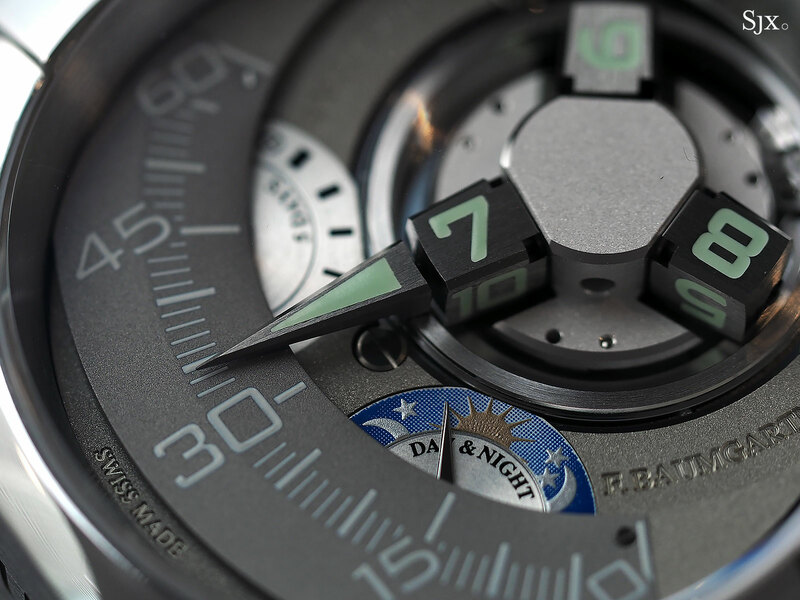 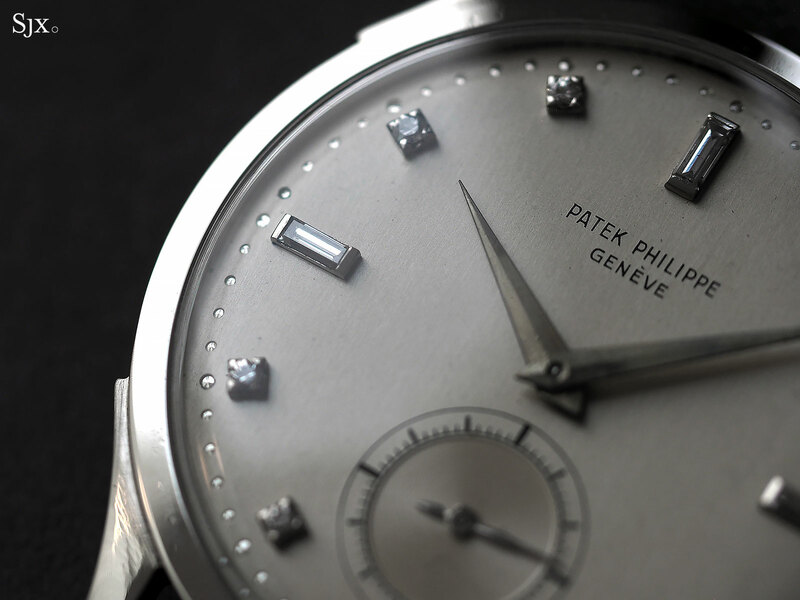 A pusher at 10 o’clock, modelled on the function selector for a grande sonnerie, advances the week display. 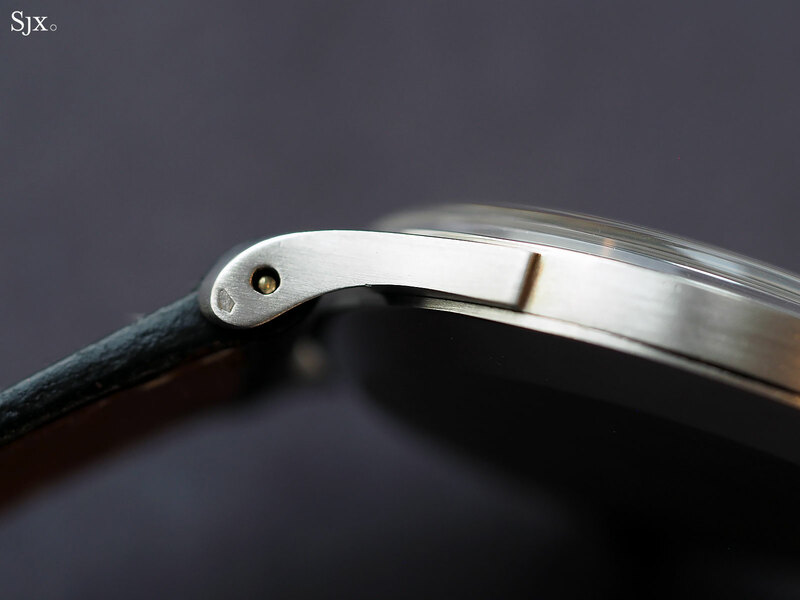 Unlike earlier Laurent Ferrier movements that had intricately shaped bridges, the LF126.01 has two large bridges, giving it a more streamlined appearance. 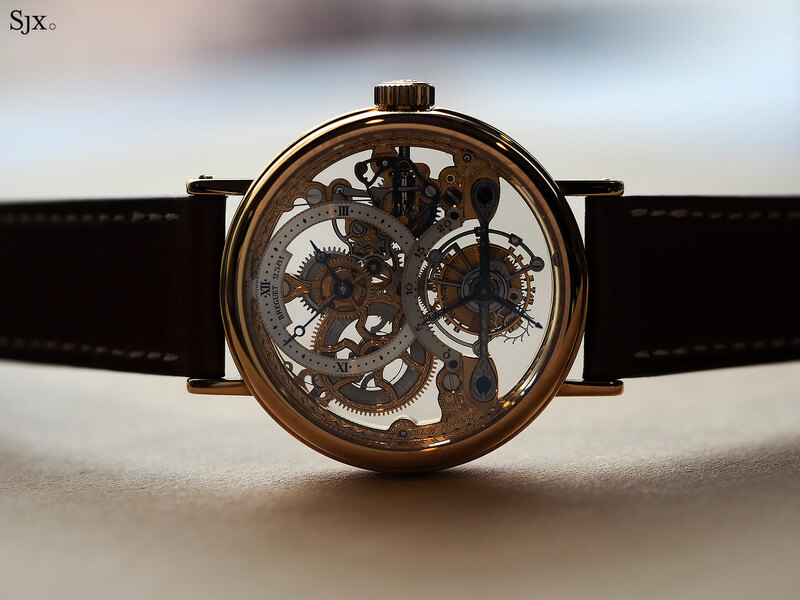 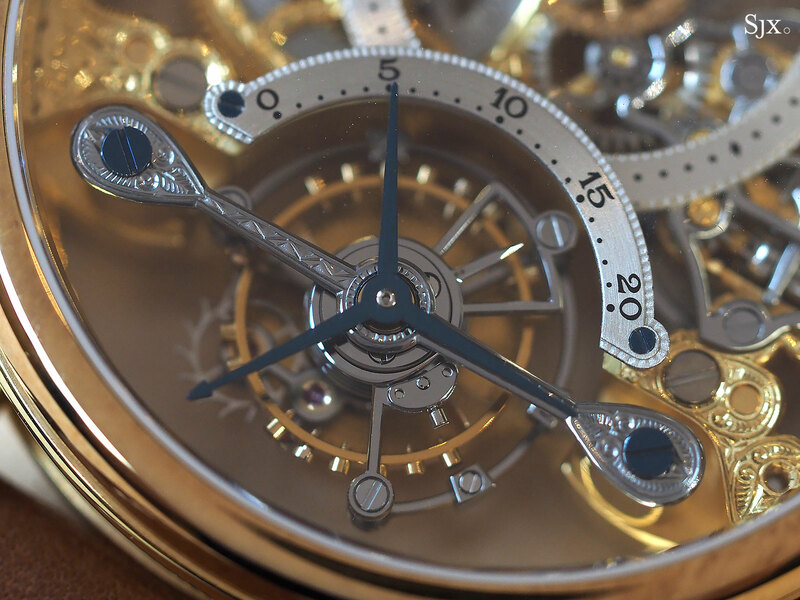 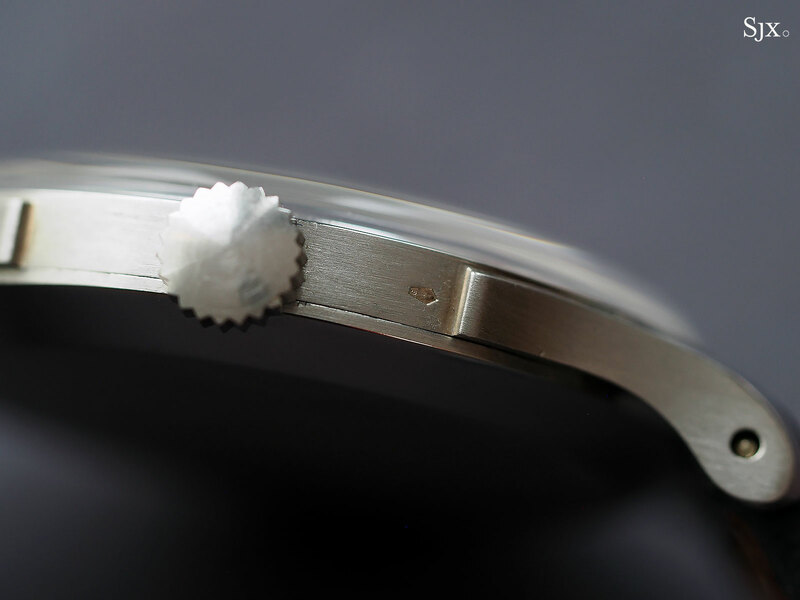 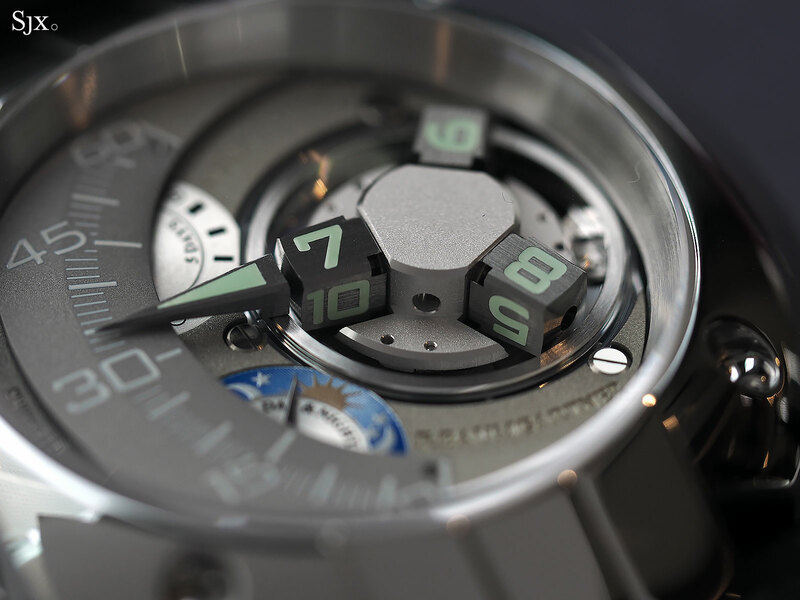 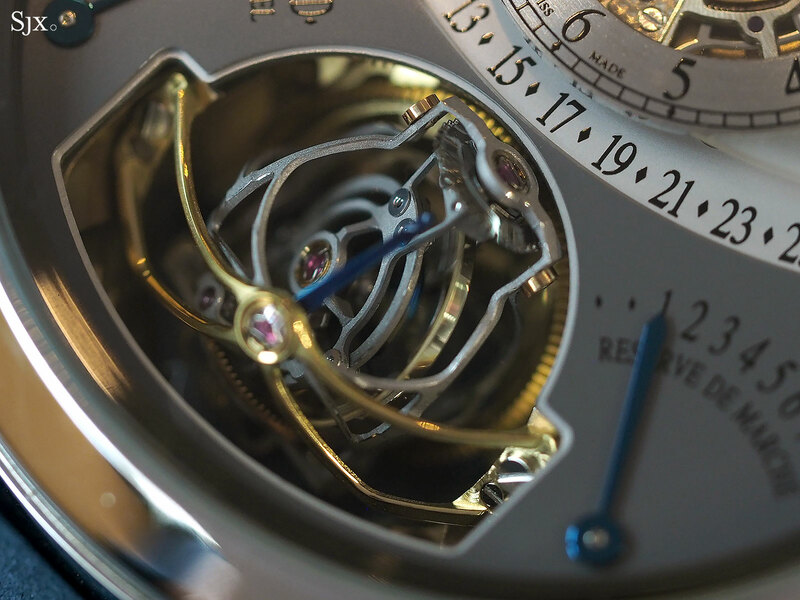 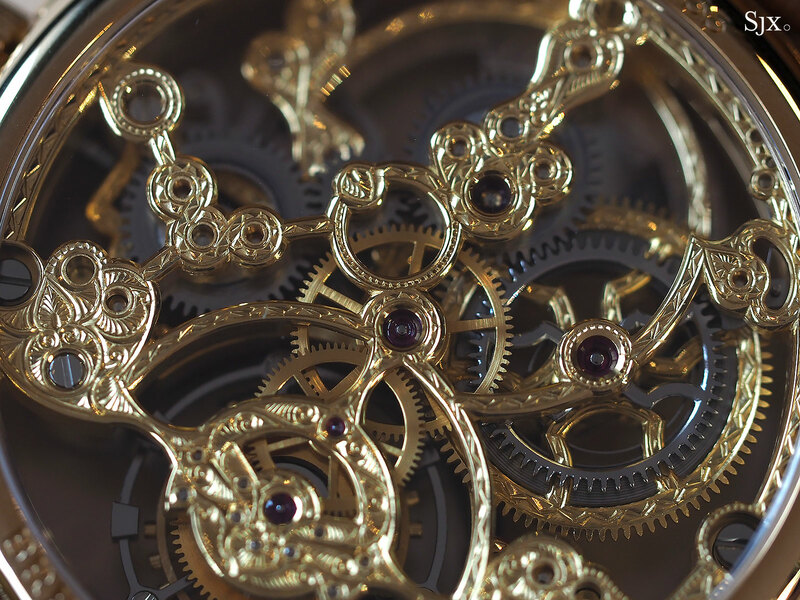 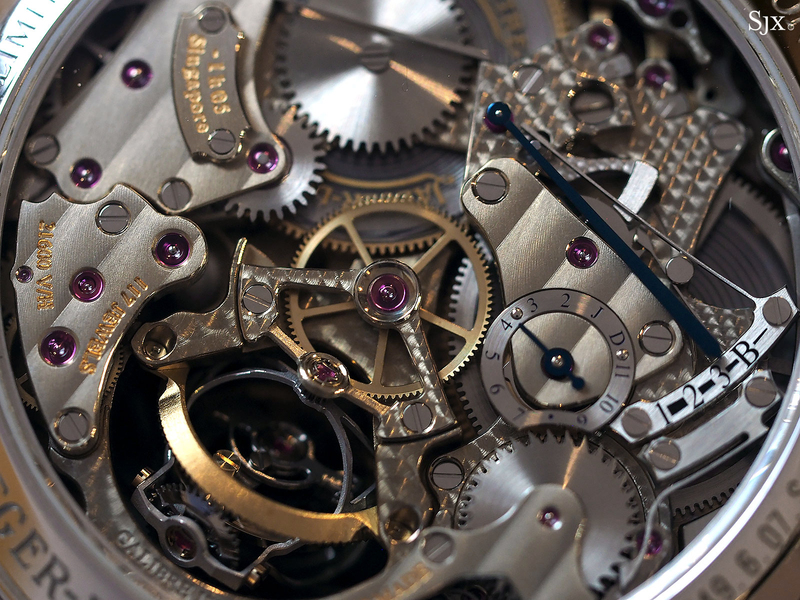 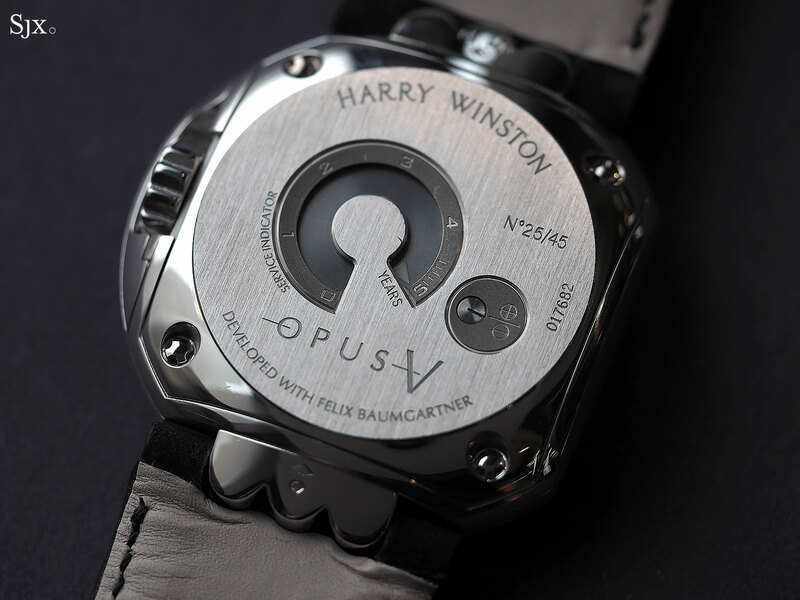 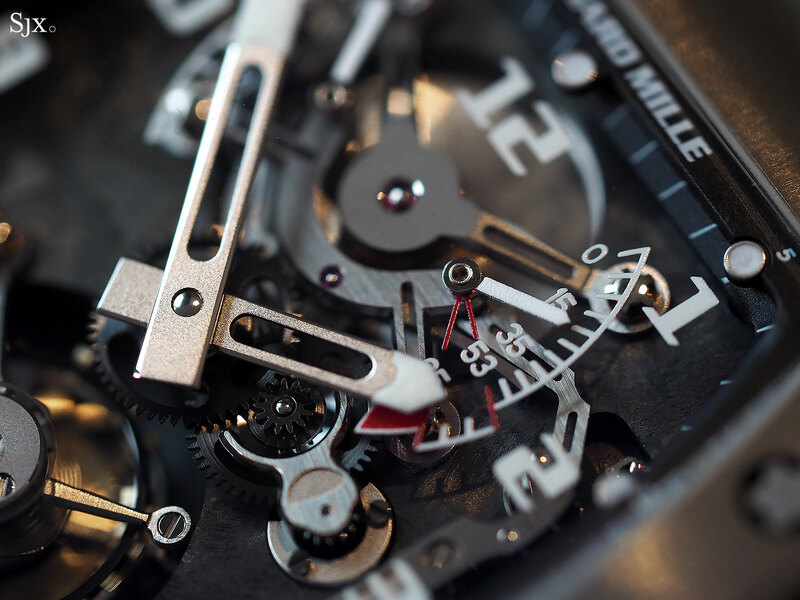 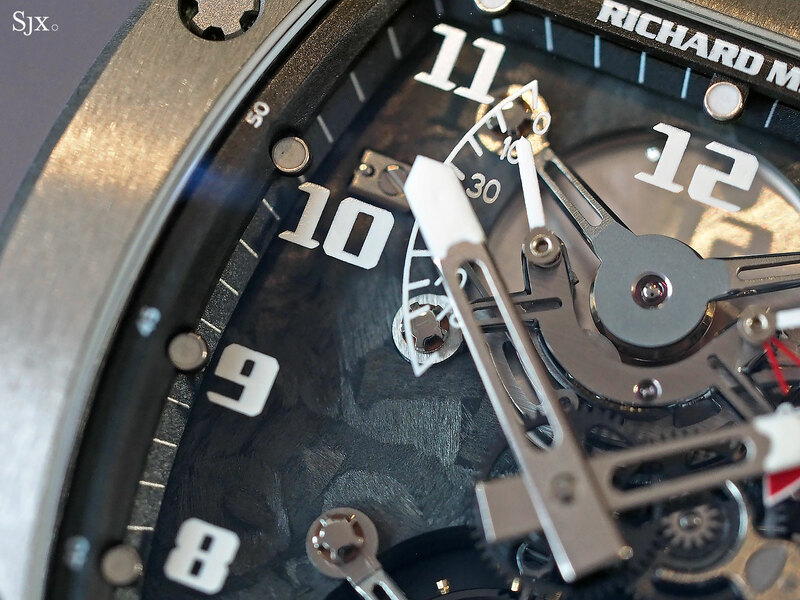 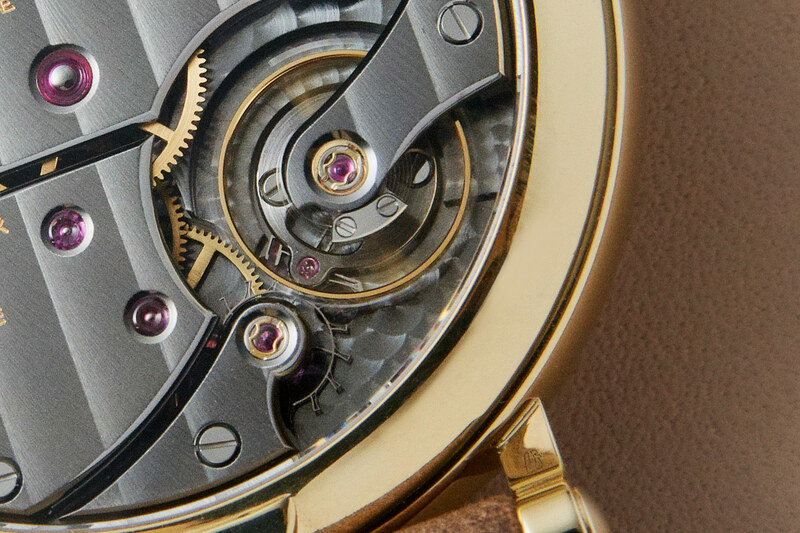 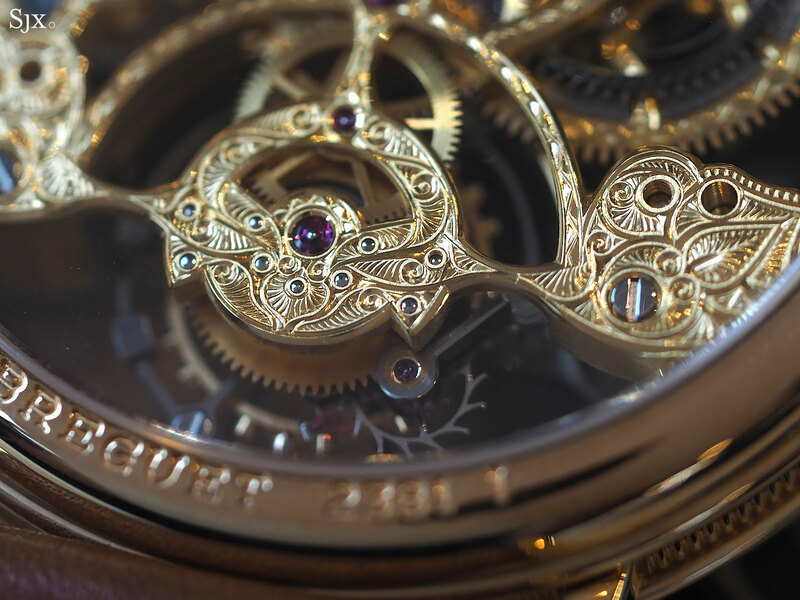 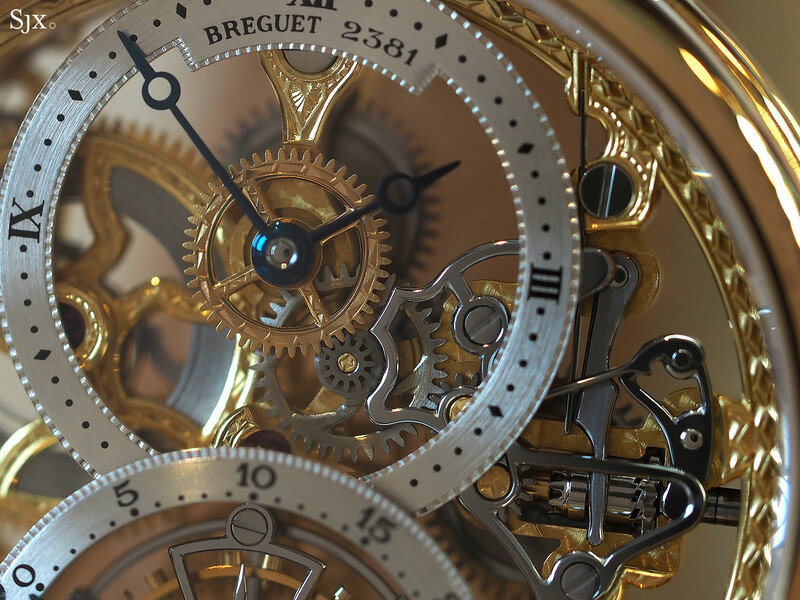 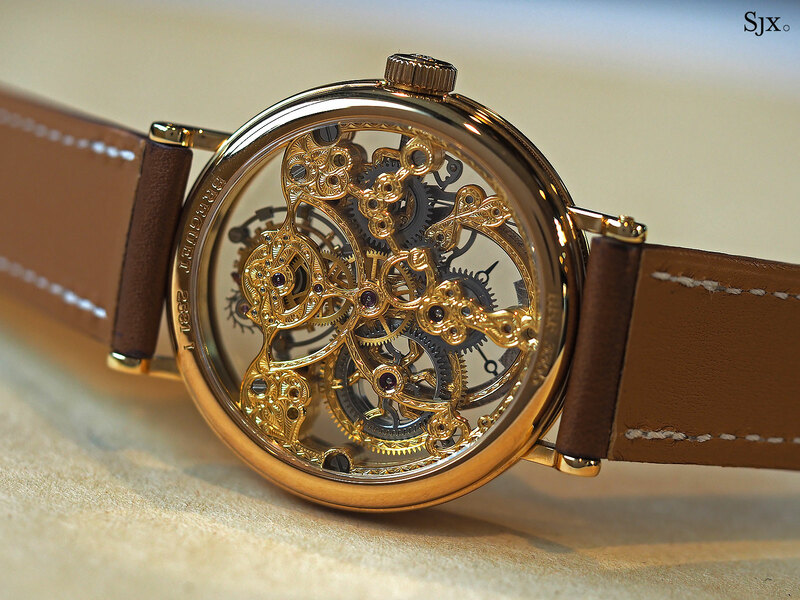 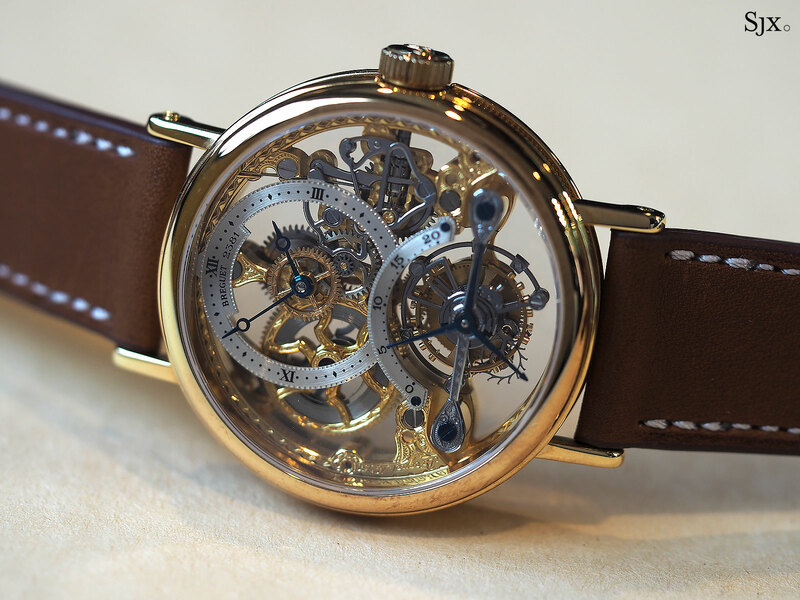 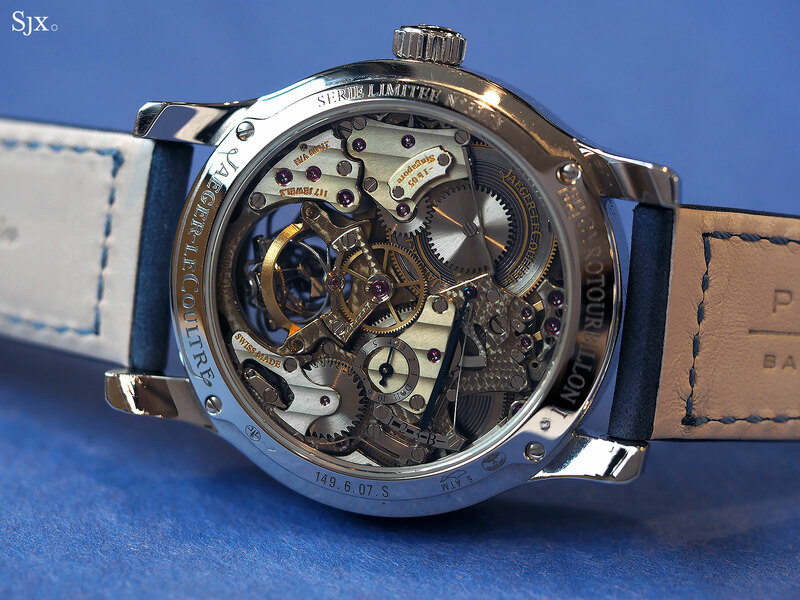 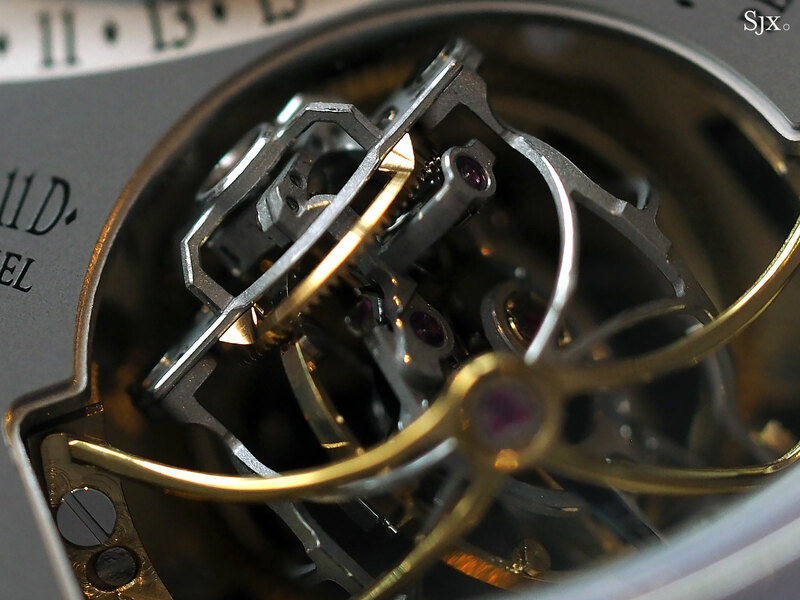 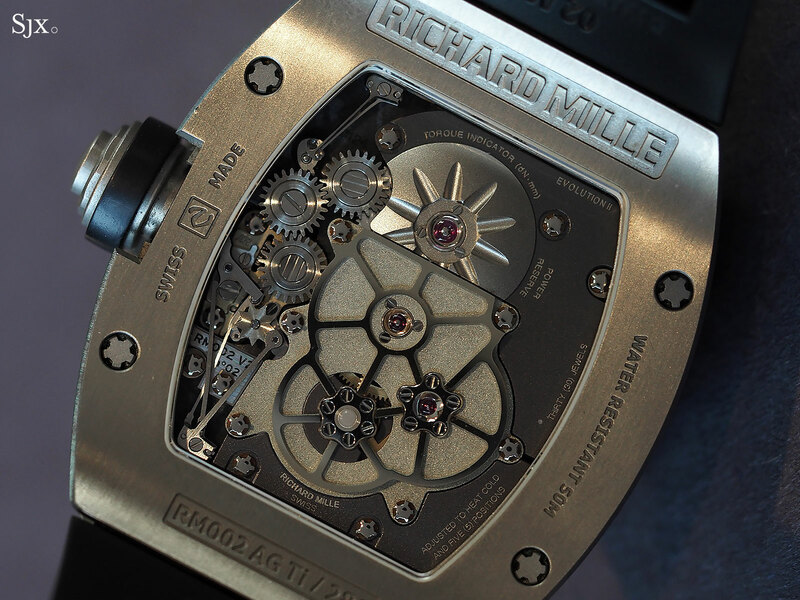 The finer details of the movement decoration remain, with hand-executed bevelling, graining and striping. 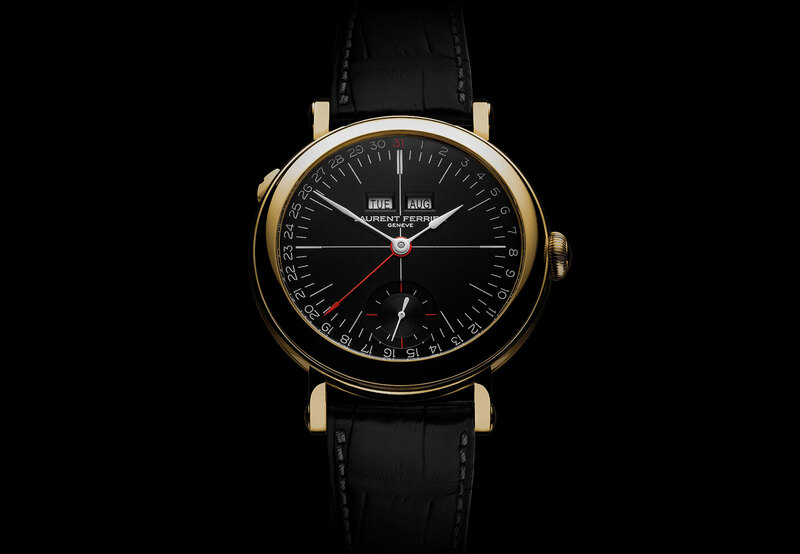 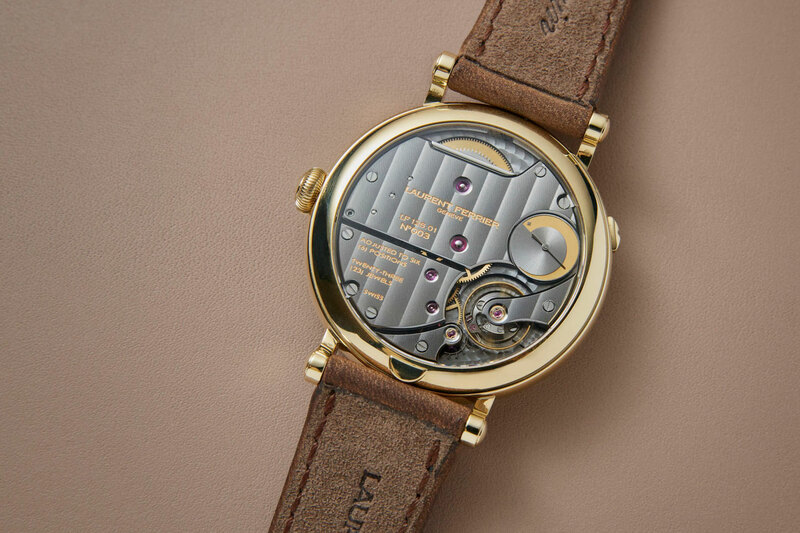 The Laurent Ferrier Galet Annual Calendar Montre Ecole with opaline dial (ref. 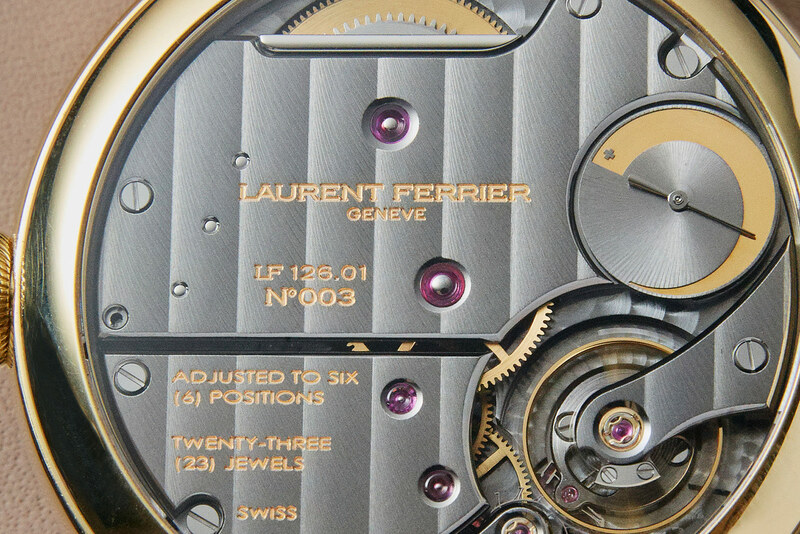 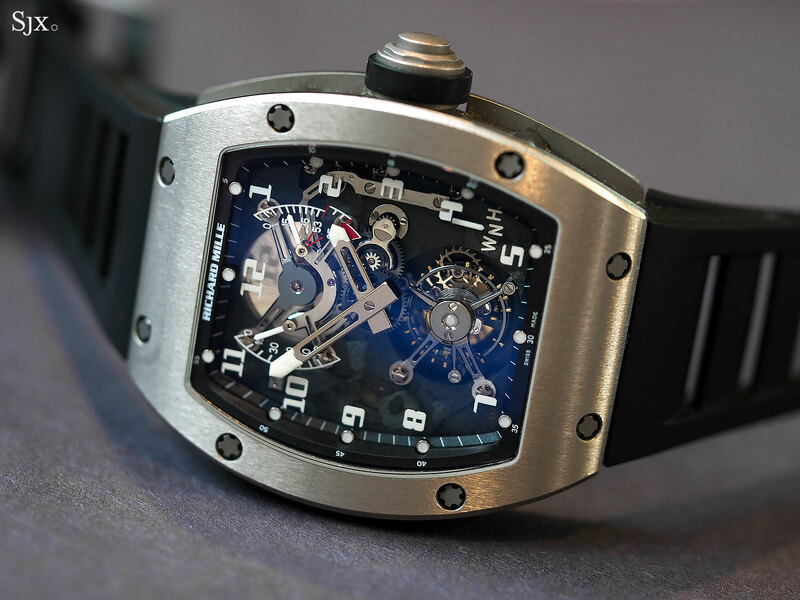 LCF025) will cost SFr50,000 in steel, and SFr55,000 in gold.